During an angel reading, I intuitively connect with angels around you for guidance, clarity, and healing in all aspects of you life. Occasionally, I will use beautiful angel oracle cards to assist us. 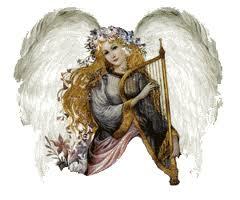 Angels are pure love beings who already know everything about you. Because of the law of free will, they do not interfere in your life unless it is a life and death situation, and it's not your time to go. All you need to do is ask them to help you, and talk to them as you would your best friend. They are just waiting for you to invite them. your angels, guides, or other spiritual being of light who want to assist you. This is usually done through hands on healing while sitting or lying down. Often, I will blend other healing modalities such as hypnosis, reiki, acupressure with angel healings. Anything I intuitively receive will be shared with you after or during the session. Disclaimer: Receiving a reading is not a substitute for professional, legal, financial, medical, or psychiatric advice or care. None of the healing modalities used guarantee a cure nor do they take the place of medication or other medical modalities that you are having or needing. Decisions made from your interpretation of readings are of your own free will. At an angel party, you are the hostess. Invite some of your family and friends to your home for an afternoon or evening. I will present a brief workshop on the angelic realm followed by a short angel reading for each participant either as a gallery reading or individually. Maximum is 8 people to allow ample time for the readings. The fee is $40 per person, more if traveling is involved. For you as a hostess, you are free for the lovely use of your home. Allow 2 to 2 1/2 hours for the gathering. A group reading gallery is where the readings occur in a group setting rather than as a individual. These readings are messages from spirit, angels and deceased loved ones depending on what comes through for you. See more info under the "services" page. For more information or to set up an appointment, call 603-357-6100 or send an e-mail to carmencarignan@ymail.com.